Oh, heavens. I suddenly feel better about my day. 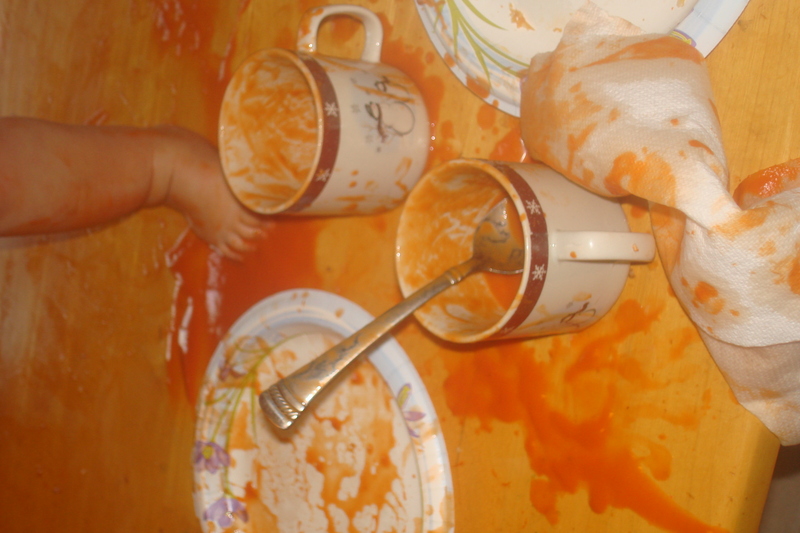 Isn’t it great that you feel under par, the lovely tomato soup artwork appeared, and the tree came tumbeling down a week and a half before everyone arrives, instead of as they arrive? You get a week and a half to get it all perfect!! It will happen! Sit back and let it go for a few days! You got time! yes, I am glad it happened today versus the end of next week! I feel awful for you! Virtual hug from me to you!!!! Take some time out for yourself during this crazy season….even if it is just five minutes. Hooray! There really isn’t much better cure for stress than wine + girlfriends. 🙂 Enjoy!!! You poor thing! I remember the days. 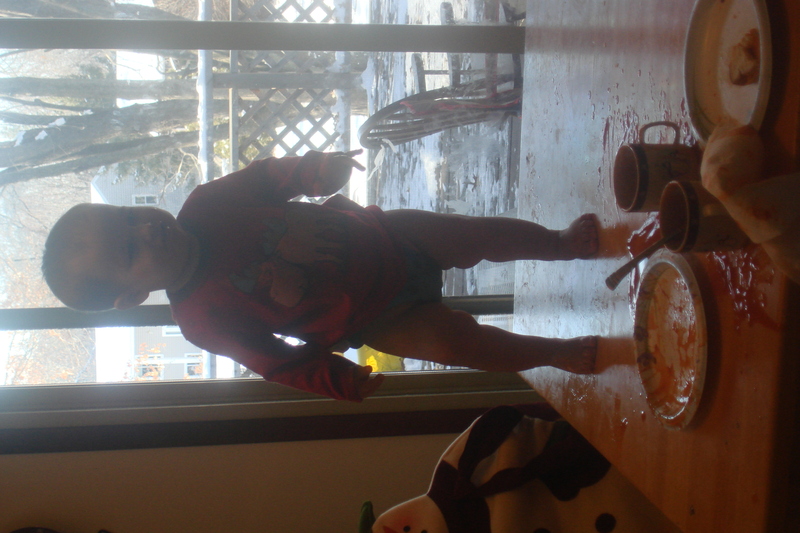 My son’s way of telling me he was done eating was to throw the plate from his high chair onto the floor! Once he thew black eyed peas over every wall. Not to mention unfolding every laundry item I folded! oh yes, the laundry unfolding… I’m pretty sure it’s in the under 2 dna to unfold everything that has been folded- or put away! Oh my. Reminds me of when my Sarah got into the vaseline and smeared it all over herself and on a good part of the house, too. yikes! that sounds terribly hard to clean!